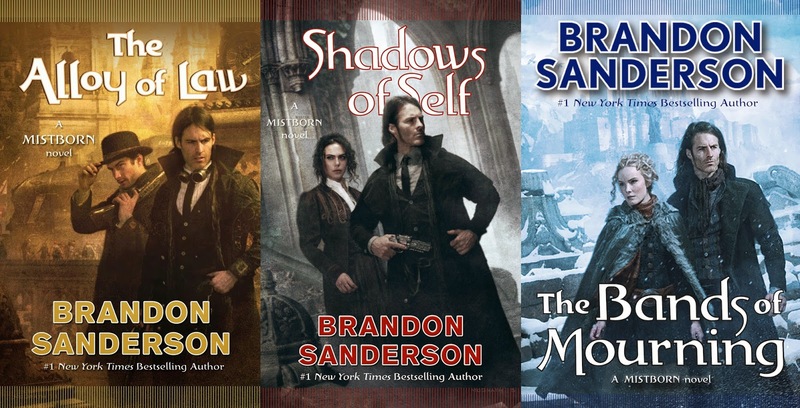 At the revelation of the new cover for Brandon Sanderson's Shadows of Self, I said that it almost feels like the covers of Jim Butcher's Harry Dresden books. It's not bad at all, but a complete because I love the covers of the latter books. Now I can almost say it actually is. With the recent unveiling of the next book in the series, The Bands of Mourning, my suspicion has been somehow confirmed. This is the third in the second generation Mistborn novels, which is labeled as Wax and Wayne series, and the sixth novel in the entirety of the series. The cover features the usual numbers of characters, which artist Chris McGrath have greatly rendered. Shiver with cold in the cover's blueness. 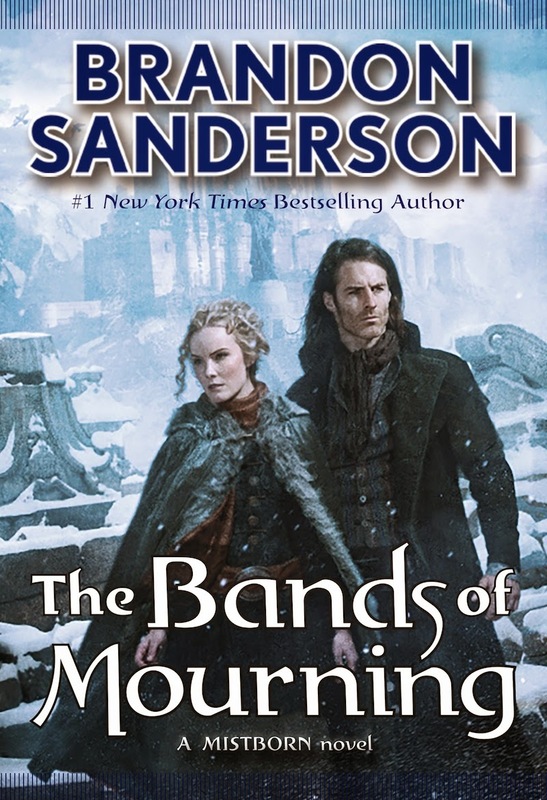 Check out the new cover of The Bands of Mourning (Mistborn #6) by Brandon Sanderson. Don't they just look lovely together? Expect another book from this second generation Mistborn novel series. Mistborn: The Bands of Mourning by Brandon Sanderson hits shelves on on January 26, 2016.